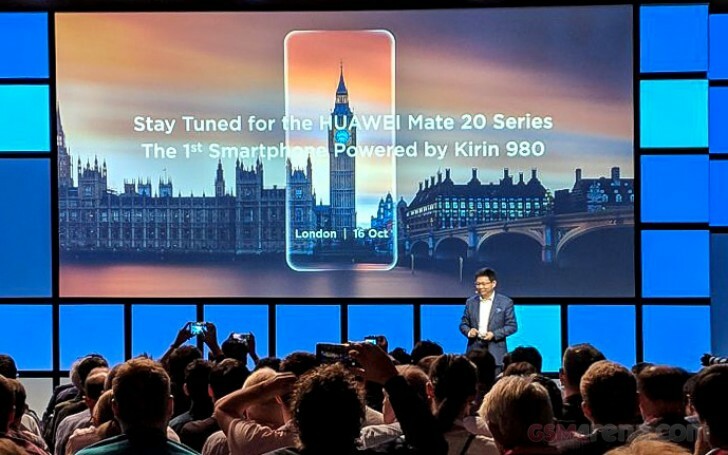 During a keynote at the IFA show in Berlin, Huawei has confirmed that the Mate 20 series will be unveiled at a special event in London on October 16. Amusingly, Huawei has branded the Mate 20 as the first smartphone powered by the newly-announced Kirin 980. You can be sure we'll be there to cover the unveiling of Huawei's next flagships so stay tuned.